• Structure ID: NBI 000000000020860 (IA), 000098600321460 (IL). • Location: River Mile 518.1. • Daily Traffic Count: 11,700 (2003). 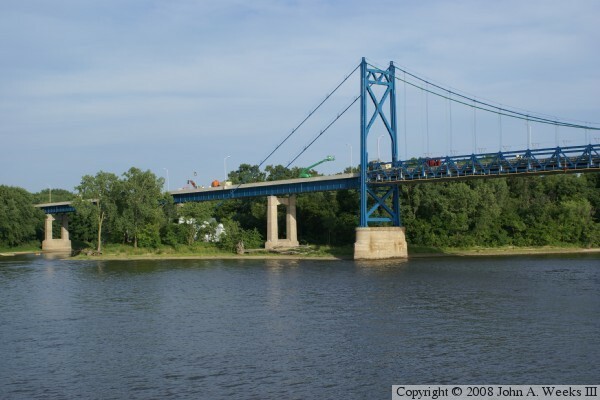 • Bridge Type: Unloaded Backspan Suspension. 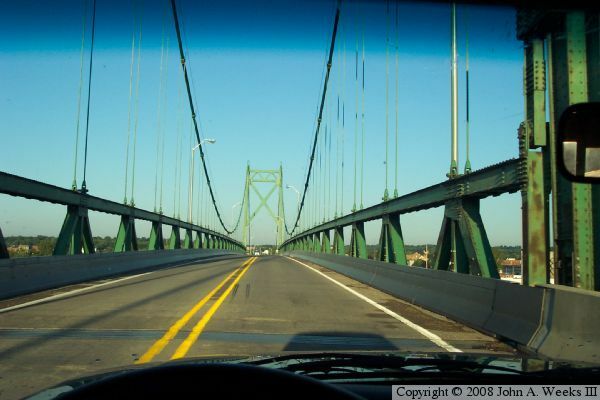 • Length: 4,166 Feet, 644 Foot Longest Span. 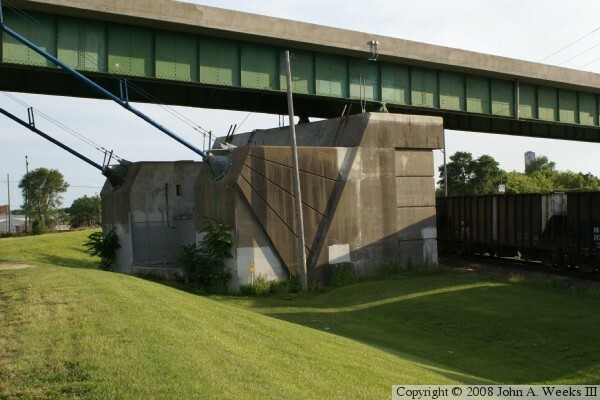 • Navigation Channel Width: 568 Feet. • Height Above Water: 70 Feet. • Date Built: Opened June 1956, Rebuilt 1999. Suspension bridges always look elegant, but this one more so given its small, thin stature. Even more interesting is that the roadway is on the bottom of the suspended truss, not the top. 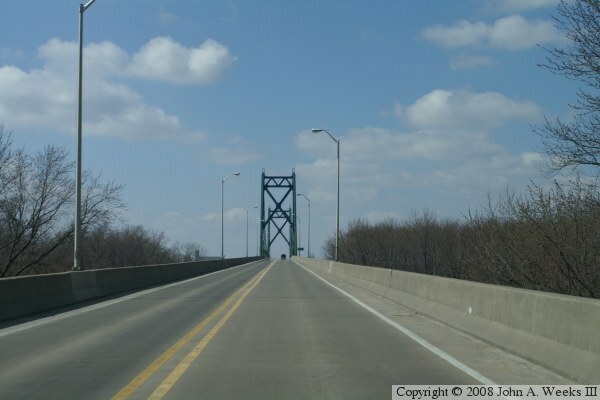 This means that you see the sides of the truss when you drive across the bridge. 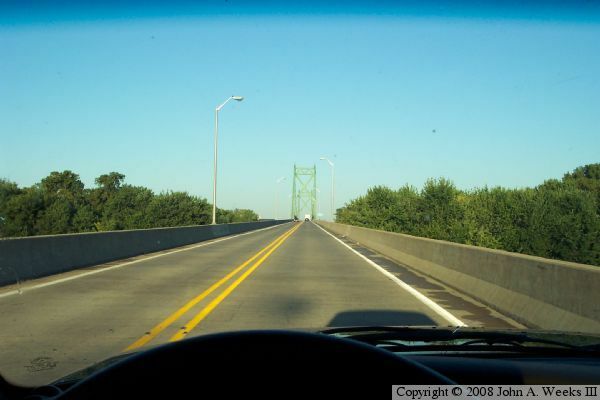 What is interesting is that Iowa rates this bridge as being "basically intolerable", while Illinois rates it as "minimum adequacy to tolerate being left in place." If that isn't faint praise, I don't know what is. 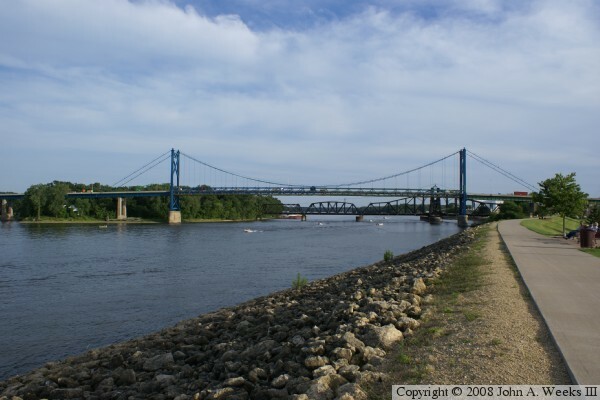 As a result, this bridge is probably on the short list to be replaced. 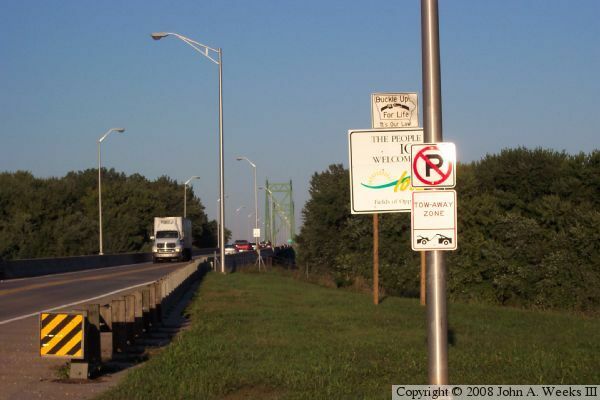 However, the low traffic count probably will not give the bridge replacement priority for funding. This bridge has a rather interesting design. 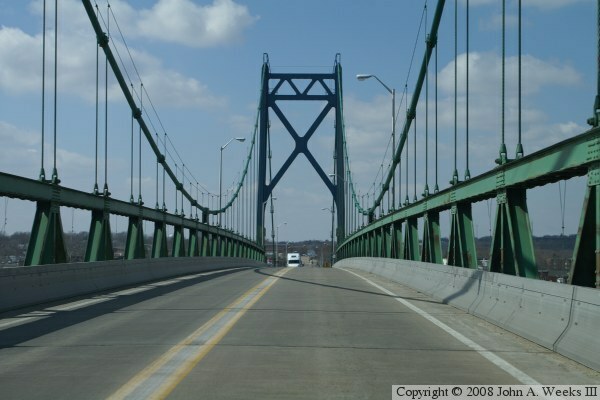 Notice that the cables are straight on the ends of the bridge, but sag in a curve between the towers. The reason for the cables being straight outside of the towers is that there are no vertical cables hanging down to support the bridge. 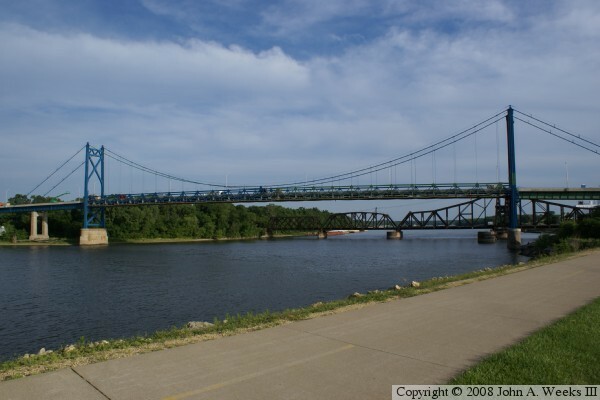 If you look at a typical suspension bridge, there are vertical cables, and that pulls down on the main cables, causing them to form curves. This unique design is called an unloaded backspan. 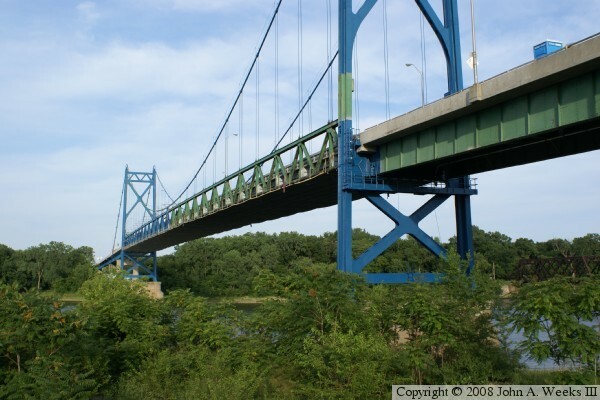 The result is that the main cables only support the main span, and do not support the spans outside of the towers.